THE BAKER HOUSE 1650 stands as the most exclusive Bed & Breakfast accommodations in the Hamptons- unsurpassed in its sumptuous, yet casual luxury.It has been selected by Conde Nast Johansens, as the "Most Excellent Inn of the Americas" for three years, and was named "Inn of the Month" by Travel and Leisure Magazine. Town and Country said the cottage "offers the kind of plush accommodations that you'd expect to find in an area famous for its residential real estate". Time Out New York said "the most distinctive B&B on the East End is so mind-boggling gorgeous that it's hard to believe anyone is actually allowed to sleep here".Nestled in the beautiful, historic Village of East Hampton, NY, The Baker House 1650 is a masterpiece of 17th Century Cotswold-inspired architecture. 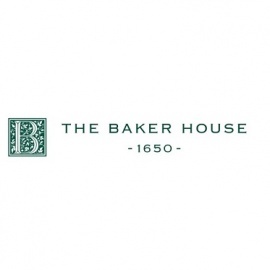 While possessing the homey, yet majestic aura of a superb English manor, The Baker House 1650 caters to its guests with the utmost in beautiful, modern accommodations, conveniences, and amenities.The Baker House 1650 is open year round. Whether for a vacation, a romantic getaway, or a beautiful wedding in the Hamptons, The Baker House 1650 is the ideal destination for the most discerning travelers simply, the best B&B in the Hamptons.